09/11/2009 - I was walking through the Moscow subway system when a woman grabbed my arm and said in Russian, “Hide your wallet. The Gypsies are crying.” It was only later that I realized what her cryptic warning meant. In Russia, I was repeatedly warned to avoid Gypsies at all costs because of the risk of becoming a victim of Gypsy hypnosis. This practice, in which Gypsies attempt to hypnotize subway riders and others in Russia so that they give away all their money, is a growing problem in Russia; the tough economic climate and social ostracism of Gypsies have forced this nomadic people to resort to innovative means of survival. 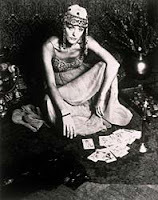 Gypsy hypnosis is fairly rare in the Gypsy community, but it shines light on a growing problem in Europe. Gypsies, also known as the Roma people, are the largest ethnic minority in Europe. Some estimate the total Gypsy population could be as high as 15 million. Despite these large numbers, Gypsies suffer from a racism reminiscent of that suffered by the African-American community during in the first half of the 20th century. Hate crimes against Gypsies abound in Europe. In Hungary, at least 30 Molotov cocktail attacks have been perpetrated against Gypsy homes over the past year. Last year in Italy, appalling photos were published showing indifferent sunbathers enjoying a day at the beach a few meters away from two drowned Gypsy girls, who lay dead under towels. In Slovakia, police arrested six Gypsy boys, forced them to remove their clothes, and then demanded that they hit and kiss one another. The ACLU is not the only American icon to take up the cause of Gypsies. At a concert earlier this year in Romania, Madonna told the crowd that discrimination of Gypsies should end. The crowd responded to her with boos and jeers. This response shows just how strong the underlying hatred against Gypsies has become. The problem is perpetuated because Gypsies place such a low value on traditional education. Many Gypsies teach their children the traditional music and dance of the Gypsy people, but literacy is not highly valued. This means that Gypsies cannot respond articulately to the negative stereotypes that are circulated in the media of the countries they inhabit. Because of these unique circumstances, both Europeans and Americans should be sensitive to how they treat the subject of Gypsies. Recently, I heard a joke that the Quad buildings were built over a Gypsy burial ground. This seems like an amusing thought to many people, but would people react the same way if it said that the Quad was built on a Jewish burial ground? Chances are that the joke would not have been very amusing. In fact, the histories of Jews and Gypsies in Europe have similarities. Both groups have been persecuted. The Jews were banned from England for 300 years under the Edict of Expulsion in 1290, and the Gypsies were banned from England in the 16th century under the Egyptians Act of 1530. The two groups also have both traditionally lacked a homeland. Some even compare the plight of the Gypsies now to that of those who suffered and died in the Holocaust, half a million of whom were Gypsies. The negative images of the wandering Jew and the occult Gypsy are eerily similar. However, what separates these two groups in modern times is that Jews tend to place a high priority on education and can claim a homeland in Israel, whereas Gypsies remain without either. Discrimination against Gypsies is an issue that many Westerners either partake in or completely ignore, yet American indifference allows the cycle of discrimination against Gypsies to perpetuate itself in Europe. While Gypsies may not have the education or political clout to take a stand for themselves, the West cannot ignore the blatant racism and violence directed toward what is the largest minority group in Europe. Charles A. LaCalle ’11, a Crimson editorial writer, is a government concentrator in Kirkland House. bravo ! madonna she has seen the hate,discrimanation against gypsy,s she seen it ,heard it witness it as in every race their is good and bad why do ppl judge all gypsy,s by one gypsy,s crimanal act ? not all gypsy,s are the same it is very bad in europe for them were ever they go the are cast out of country,s degraded, dehumanized they still live in the holocust it never left them sadly to say here in the .u.s.a it,s not that bad why are the gypsy children being judge punished hated for ? baby,s that know nothing at all what is going on but know that they are hated for who are their parent,s for the blood that runs threw theyer veins they see how their parent,s family are treated these poor soul,s are god,s ppl also remember that god created them equal to the rest of the ppl their god,s children also not toxic i am third genaration born in the u.s.a my child is the fourth generation racist stopped against black,s and latino,s jew,s even the germans,were forgiven gypsy,s suffered threw the holocust and they continue to do so why ? i read about this subject watched video,s new,s never in my life i witness such hate for these ppl they are still judged,prosacuted,denied from the world degraded this will never stop the only race ihave known to still be discrimanated they will never be accepted in society never be given a chance their is a god he is watching and know,s what is happening remember they too were in the holacust and sufferd also they continue to do so their children also remember they were not involved in 9/11 but yet here in america we dont blame all the ppl that are the same race of the ppl who caused 9/11 or their children in fact police and ppl protect them stand up for them and say they did not kill all those ppl just cause their the same race we cant not blame them their innocent every race steal,s kills etc why single out these ppl.